The JBL Endurance Peak are a truly wireless variant of the JBL Endurance Sprint. 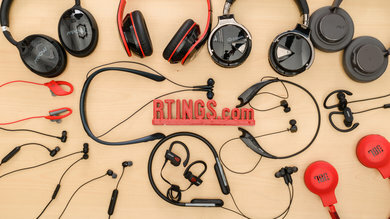 They’re both sporty, well-built in-ear headphones with a durable, rubberized finish that is great for running or use at the gym. 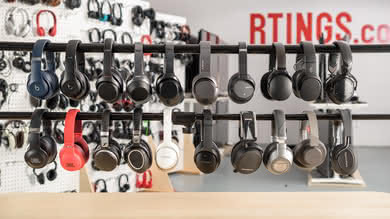 They sound very similar too, with a neutral and versatile sound profile that lends itself well to a wide variety of music genres. 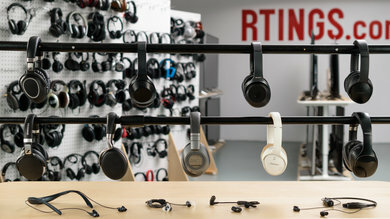 The biggest difference between these two models lies in the battery – since the Endurance Peak are truly wireless, they take a hit to their continuous playtime and last for only 4 hours on a charge compared to the Sprint’s 9 hours of battery life. On the upside, the Peak’s charging case can carry up to 24 hours of additional battery life. 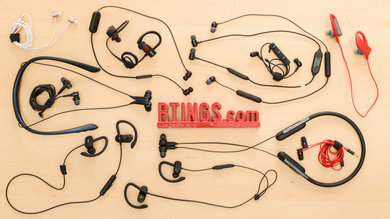 Unfortunately, like the Sprint, the JBL Endurance Peak have a finicky control scheme and aren’t the most comfortable in-ears, but they’re a versatile pair of earbuds that are decent for most uses. 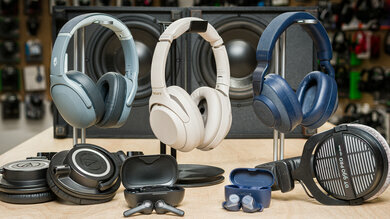 Bulkier than other truly wireless in-ears. 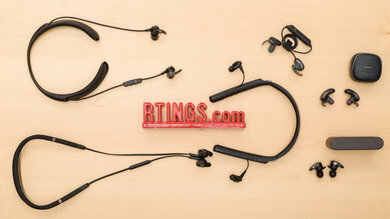 The JBL Endurance Peak are nearly identical in design to the JBL Endurance Sprint, except they no longer have a cable linking the two earbuds. 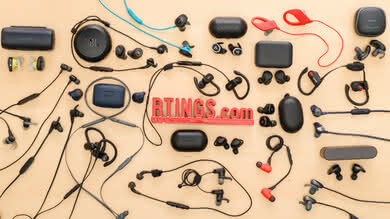 They’re well-designed, rubberized, sports-oriented earbuds that are very portable and come with a good charging case. 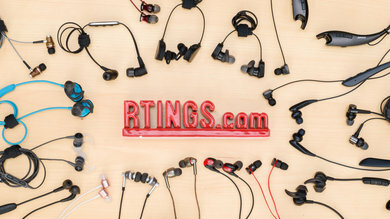 Their control scheme is a bit too sensitive and doesn’t always work as intended, and they’re not the most comfortable in-ears we’ve tried, but they’re still well-designed truly wireless earbuds that active people should be satisfied with. 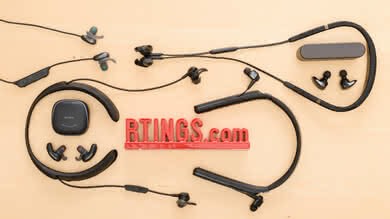 The JBL Endurance Peak have a very sporty yet well-built look, with dense, rubberized earbuds and thick ear-hooks. 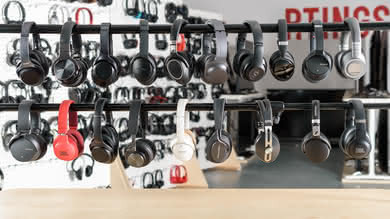 They have a magnetic base behind each earbud that the ear-hooks snap onto, allowing you to easily clip the headphones on a bag or keychain. They have a flashy design and are available in red, blue, or black like the Endurance Sprint. 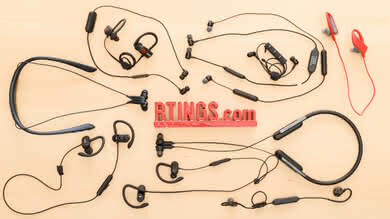 Like the Endurance Sprint, the JBL Endurance Peak are decently comfortable but do take a while to adjust. The ear hooks are fairly malleable and fit well behind your ears, but it can take a couple tries to get the twist-to-lock wearing style right. 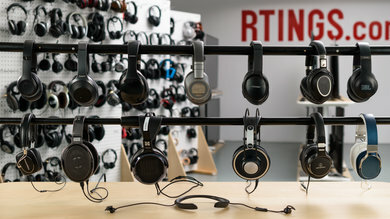 They come with 3 different tip sizes and are comfortable enough for sports and most casual uses, but won’t be ideal for longer listening sessions. 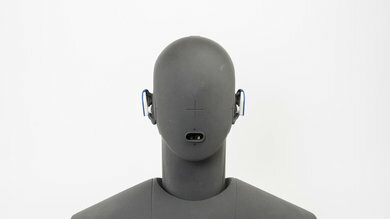 However, the in-ear fit might not be as comfortable for everyone and some will feel ear fatigue after a while. 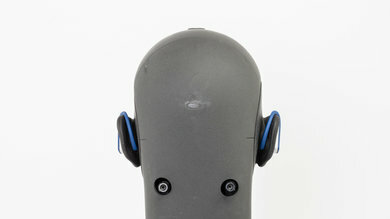 Their control scheme is identical to that of the JBL Endurance Sprint. 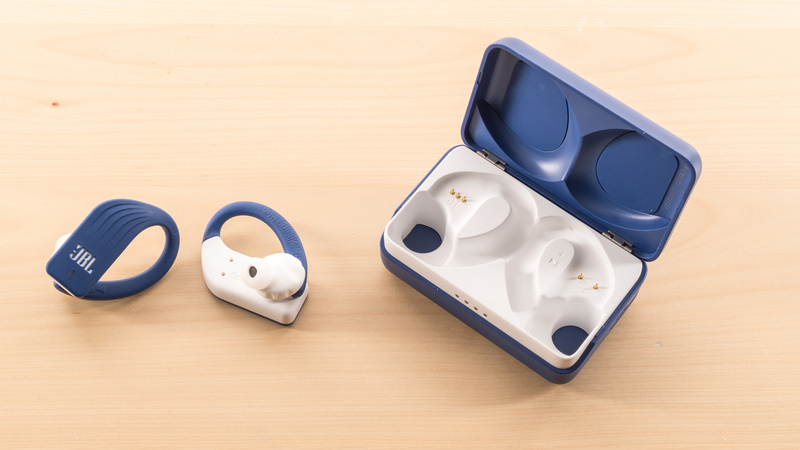 The right earbud manages all call and music controls through touch gestures. Swiping up and down controls the volume and you can take or end calls, pause, skip, or rewind tracks by tapping the touch-sensitive surface. Unfortunately, this surface is rather small and feels overly sensitive – it can be difficult for commands to register accurately, and sometimes commands will activate by simply repositioning the earbuds, which can be a pain. 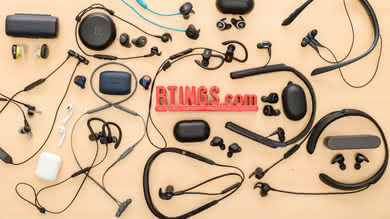 The JBL Endurance Peak are very breathable headphones. 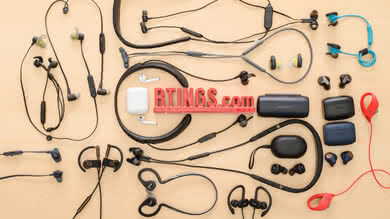 Like most in-ears, they do not cover the outer ear, which remains relatively cool when exercising and working out. They do cover a bit more surface area than typical in-ears due to their bulkier ear-hook design, but it's a negligible difference and won't make you sweat like on-ears or over-ears do. The Endurance Peak are very easy to carry around on your person. 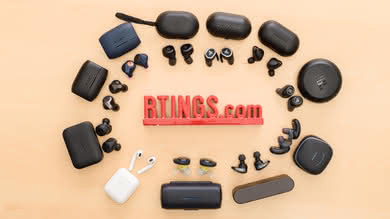 Even though they have ear hooks that are quite large in comparison to other models like the Anker SoundBuds Curve, the Peak are quite compact and should still easily fit into most pockets and bags. They also have a clip mechanism that makes them easy to attach to a bag or keychain. The JBL Endurance Peak have a good, charging hard case. 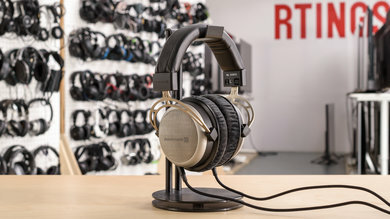 It seems sturdy enough to protect the headphones from accidental damage, but it doesn’t lock, so it may pop open upon impact. 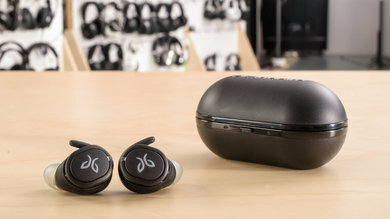 It also doesn’t have the same rubberized finish as the earbuds and feels plasticky when compared to the headphones. 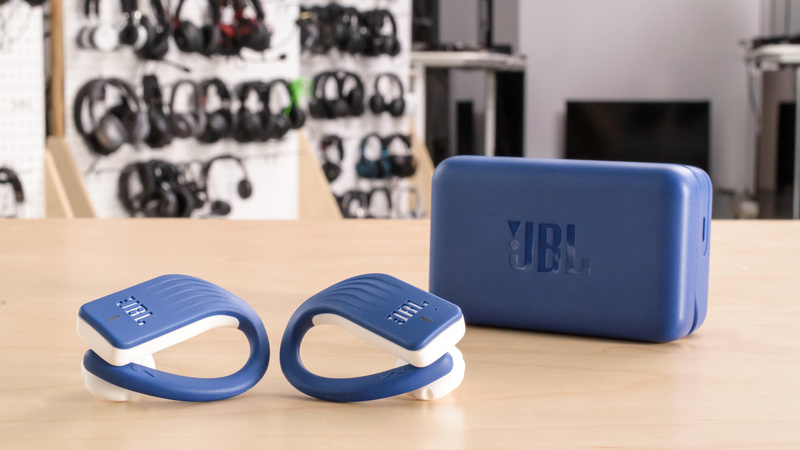 According to JBL, the case can also provide up to 24 hours of additional charging, which is 6 additional charges according to our measurements; however, we don’t yet have a test to verify this. The Endurance Peak are decently well-built for truly wireless in-ears. They have a dense, rubberized plastic build that feels solid and relatively durable. Like the Endurance Sprint, they have an IP56 rating for mild dust and water resistance but we do not yet have a test to confirm this. 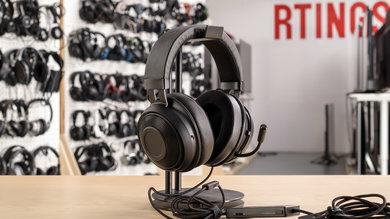 On the upside, since they are truly wireless, they do not have the cable of the flimsy cable of the Sprint which makes them a bit more durable overall. 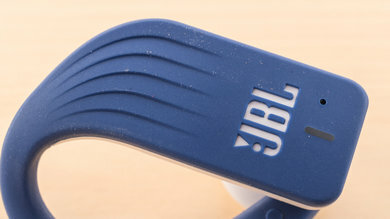 The JBL Endurance Peak have a very stable fit thanks to their large ear-hooks that twist and “lock” into place. 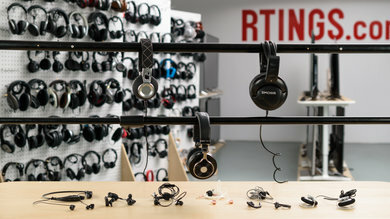 However, there’s a bit of a learning curve and if you don’t get the twist-to-lock procedure exactly right, the earbuds may pop out of your ears sometimes. However, once you get a good fit they are stable enough for working out and running, especially since they no longer have a wire. The JBL Endurance Peak are a decent-sounding pair of closed-back in-ear truly wireless headphones. They sound very similar to the Endurance Sprint and are versatile enough for most music genres. They have a deep, slightly hyped bass that is punchy without overpowering vocals and lead instruments. 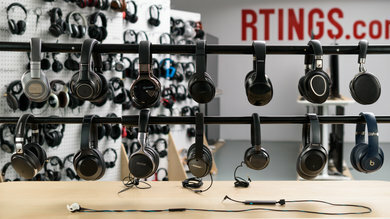 Their mid-range is actually less underemphasized than that of the Endurance Sprint, which means that vocals and leads sound present and clear. 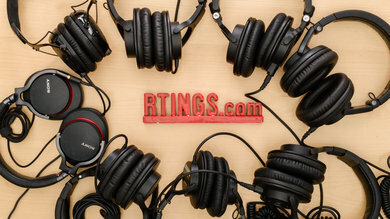 They have great treble, too, and sound bright and detailed. 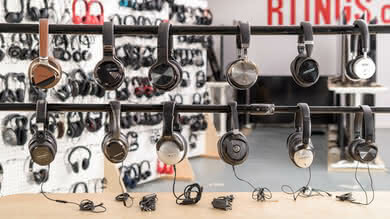 Like most other closed-back in-ear headphones, the Endurance Peak don't have a large and speaker-like soundstage, but our unit did have excellent imaging. The JBL Endurance Peak have excellent bass. Low-frequency response (LFE) is at 10Hz, indicating a deep and extended bass. 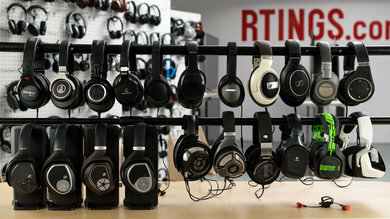 Low-bass, responsible for the low thumps and rumbles found in dubstep or in the sound effects of film scores is overemphasized by about 3dB, which is great for fans of deep, heavy bass. Mid-bass is within 1dB of our target, so bass guitars have body and kick drums sound punchy. High-bass, responsible for warmth, is very slightly underemphasized but is otherwise very close to our neutral target. Overall, the Endurance Peak have deep, thumpy bass that feels warm without sounding boomy or muddy. 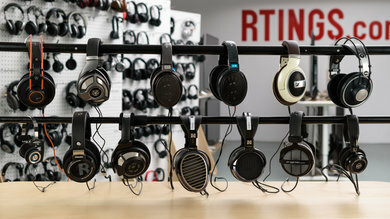 Their mid-range performance is excellent. The response throughout the range is quite even and follows the neutral target very closely. There is a small dip in mid-mid that slightly nudges vocals and lead instruments towards the back if the mix, but at 2dB this effect will be very subtle. The JBL Endurance Peak have very good treble. The response is quite even throughout the low and mid-treble ranges and is overall well-balanced. Low-treble is very even and nearly spot-on our neutral target, ensuring that vocals and instruments are articulate, present, and detailed. Mid-treble is a bit less even than low-treble, with a slight peak around 7KHz followed by a dip around 9Khz, but still within good limits. 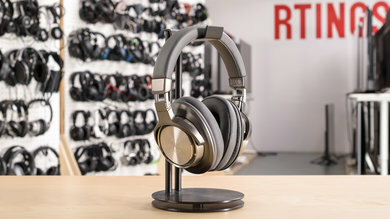 The JBL Endurance Peak’s high-treble drops 14dB at 12Khz, which may reduce the airiness of their sound, but overall, their treble produces a good amount of detail and brightness. The JBL Endurance Peak have very good frequency response consistency. 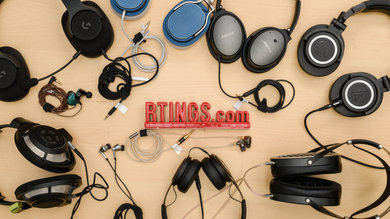 You should be able to get consistent bass and treble delivery every time you use these headphones once you get a proper fit and seal using the different tips provided. 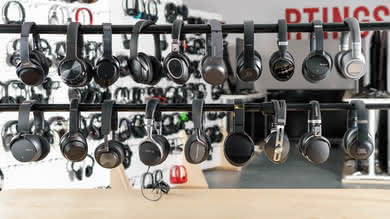 However, if you can’t get an air-tight seal and you find the fit doesn’t work with the shape of your ears, you may experience a drop in bass and variations in the sounds produced in the treble range. The Endurance Peak have excellent imaging. The weighted group delay is at 0.16, which is very good. The GD graph also shows that the group delay response never crosses the audibility threshold, suggesting tight bass and a transparent treble reproduction. 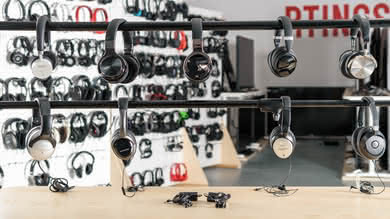 Additionally, both the left and right drivers of our test unit were very well-matched in amplitude, frequency, and phase response, which is important for the accurate placement and localization of objects (voices, instruments, video game effects) in the stereo image. These results are only valid for our unit, though, and yours may perform differently. The soundstage is poor. 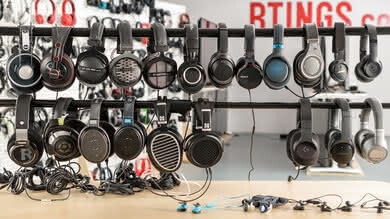 Creating a large and speaker-like soundstage is dependent on having a speaker-like activation of the outer ear. 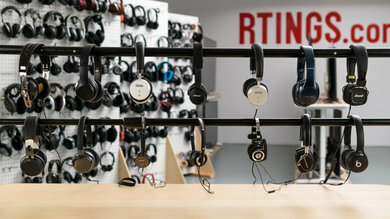 Because in-ear headphones bypass the pinna (the outer ear) and don't interact with it, their soundstage will be perceived to be small and located inside the listener's head. 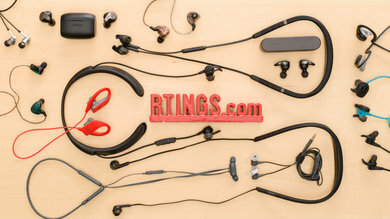 The JBL Endurance Peak also have a closed-back design, which means that their soundstage won't feel as open as that of open-back earbuds like the Apple AirPods, Google Pixel Buds, or the Bose SoundSport Free. The JBL Endurance Peak have great harmonic distortion performance. The overall amount of total harmonic distortion (THD) produced in the bass range is quite low and within very good limits. There is also no significant rise in THD under heavier loads; in fact, there is a decrease in THD from the high-bass to the mid-mids and again in the mid-treble ranges. This could be due to the increased flexibility of the driver at louder volumes. There are very small peaks in THD around 1KHz that could make the sound of those frequencies a bit harsh and impure, but it would be subtle. The JBL Endurance Peak have very good isolation. 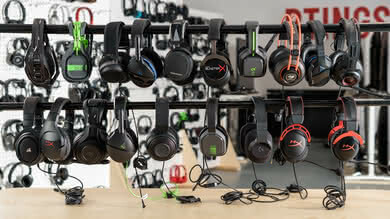 Although they do not have an active noise-canceling (ANC) feature, they do a decent job at passively isolating noise. 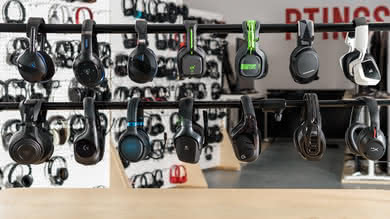 They won’t completely block out the deep rumble of bus and plane engines, but they will soften the sounds of office chatter. 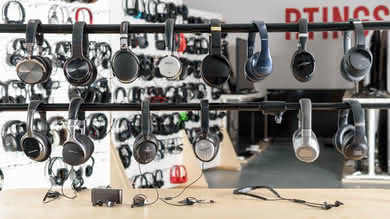 This makes them a decent choice for office use, especially since they hardly leak any sound at all, so you won’t have to worry about bothering your colleagues with your music, even if you like to listen at higher volumes. The JBL Endurance Peak do a decent job at isolating noise. 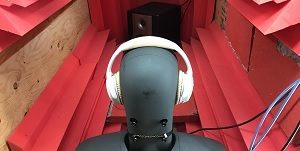 They isolate sounds located in the bass range, like the deep rumble of airplane and bus engines, by about 10db, which isn’t bad for passive isolation. 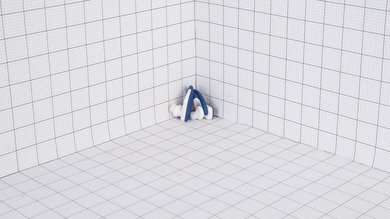 They isolate the mid-range very well by about 20dB, which is important for blocking out speech, and they also do a very good job at isolating the treble range, responsible for sharp noises like S and T sounds and fan noises of A/C systems, achieving 37dB of isolation. The leakage performance is excellent. 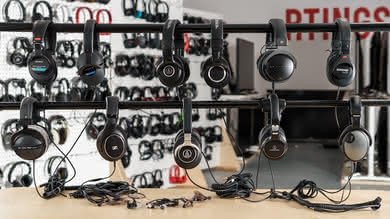 Their leakage sounds very thin since the significant portion of their leakage is concentrated over a very thin band around 5KHz and they hardly leak in the bass and mid ranges. The overall level of the leakage is not very loud, either. 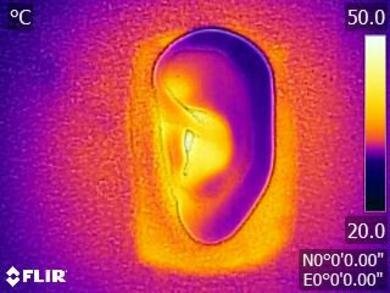 With the music at 100dB SPL, the leakage at 1 foot away averages at 25dB SPL and peaks at 48dB SPL, which is about the same as the noise floor of an average office. 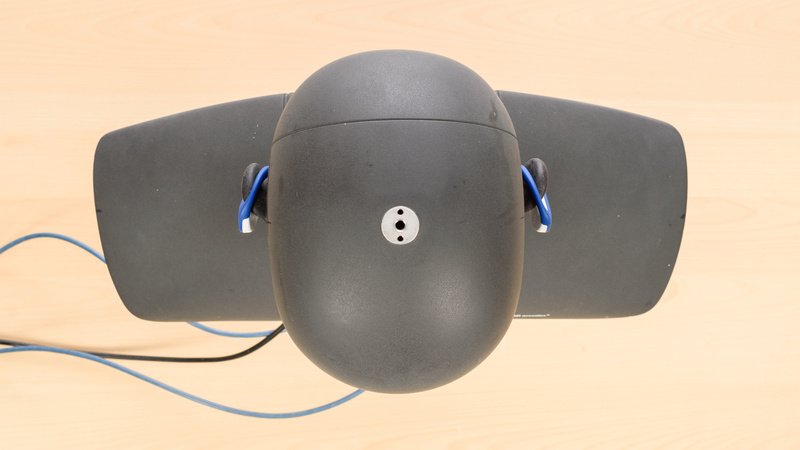 The JBL Endurance Peak have a mediocre-at-best microphone. 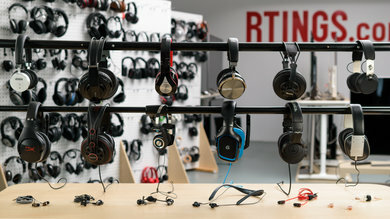 In quiet environments, speech transmitted or recorded with the integrated microphone of these headphones will sound thin and noticeably muffled. 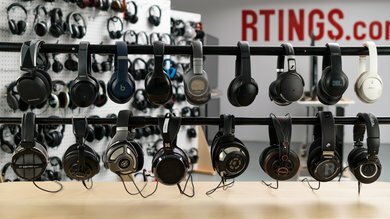 In noisy situations, it struggles to fully separate speech from background noise in very loud environments like a subway station, but does okay in moderately loud environments, such as a busy street. Like most Bluetooth truly wireless in-ears, the JBL Endurance Peak have an integrated microphone with poor recording quality. Since the LFE (low-frequency extension) is at 380Hz and the HFE (high-frequency extension) is at 2.5KHz, speech that is recorded or transmitted with this mic will sound thin, lacking in detail and noticeably muffled, even in a quiet environment. 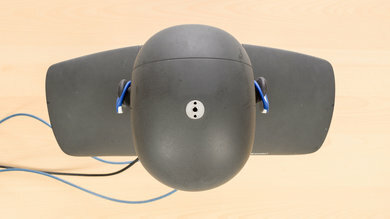 The integrated microphone has average noise handling. It achieved a speech-to-noise ratio of 17dB in our SpNR test, which suggests that it does an okay job at separating speech from ambient noise in moderately noisy environments, but will struggle in loud situations. 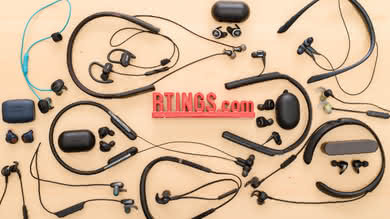 The JBL Endurance Peak have an unremarkable battery, similar to those of other truly wireless earbuds. 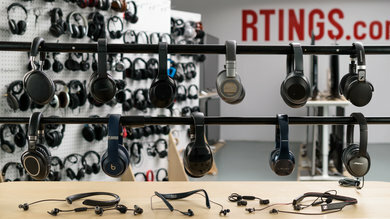 Their battery is only about 4 hours, but they charge relatively quickly and come with a case that can be used to charge them wirelessly as well, for up to 24 hours of total playback. 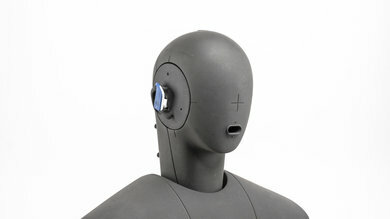 They turn off when the ear hook clips onto the magnetic base and they also have an auto-off timer to save battery life. There's a quick-charge mode that gives an hour of battery life in 10 minutes of charging. Unfortunately, the JBL Endurance Peak do not support the JBL Headphones app, so you can't customize or EQ their sound profile. The JBL Endurance Peak have a mediocre battery. Although the battery only lasts for about 4 hours, it charges in under an hour and a half, which is pretty quick. There’s also an auto-off timer which switches off the earbuds after a short period of inactivity. According to JBL, the Endurance Peak also have a quick charge mode that gives an hour of playback for 10 minutes of recharging. 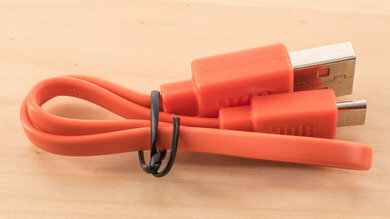 JBL also mentions in their spec sheet that you can get up to 24 hours of backup power by using additional charges provided by the charging case, but we do not yet have a test to measure this. 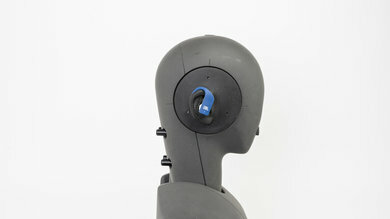 The JBL Endurance Peak do not come with a compatible app for added customization options. 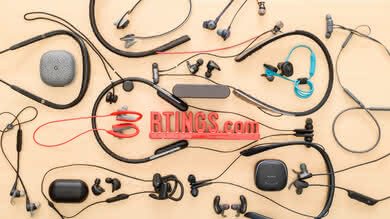 The JBL Endurance Peak are truly wireless Bluetooth headphones that come with a charging case. They don’t support multi-device pairing or NFC. 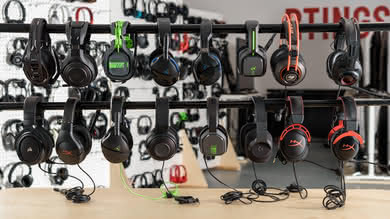 They also have very poor latency and don’t support any low latency codecs, so they won't be a good choice for watching a lot of video content or for gaming. On the upside, they have an excellent wireless range and their charging case holds up to 6 additional charges. 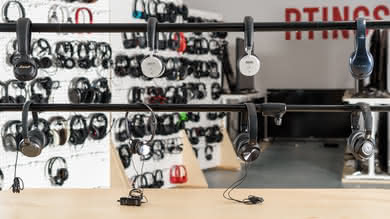 The JBL Endurance Peak do not have multi-device pairing or NFC support. 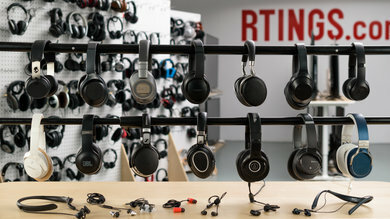 On the upside, their hold-to-pair procedure is relatively simple and registered well with various Bluetooth sources. The JBL Endurance Peak have no wired option. If you want a decent sounding, wired design with a universal in-line remote, then check out the 1More Triple Driver In-Ear. The JBL Endurance Peak come with a charging case that should give them an estimated 6 additional battery charges, but has no additional inputs. 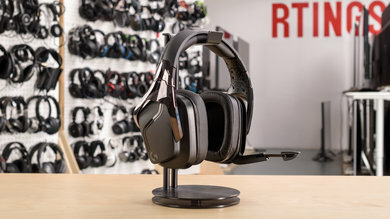 The Peak have an excellent wireless range. They reached up to 52 feet with the Bluetooth source obstructed and could go up to 272 ft in direct-line-of-site. 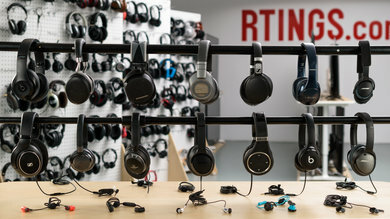 This means they should have enough range for you to be able to leave your audio source in one room and walk into the next room over without experience audio cuts, but wireless range is highly dependant on the strength of your source’s Bluetooth signal, so results may be different. The JBL Endurance Peak have bad latency. 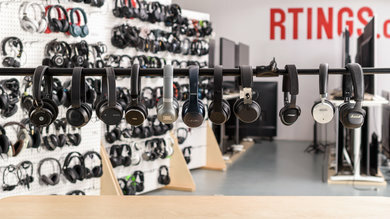 Bluetooth headphones usually average around 200-220ms of delay, so their latency of 323 ms is quite a bit higher than average. 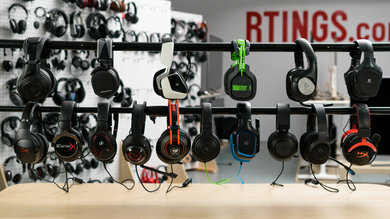 This means that what you see on the screen won’t match what you hear, so they won’t suitable for watching videos and gaming. Some devices and apps appear to offer some sort of compensation, though, so your experience may vary and you might not notice the delay that much. 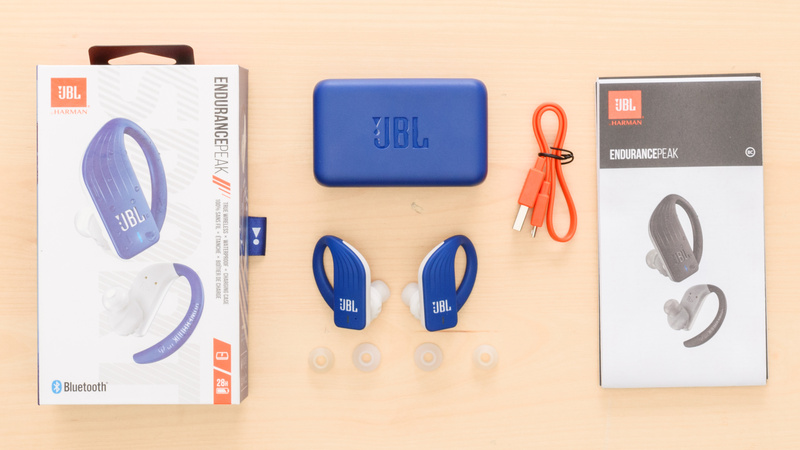 The JBL Endurance Peak are great truly wireless in-ears for sports. 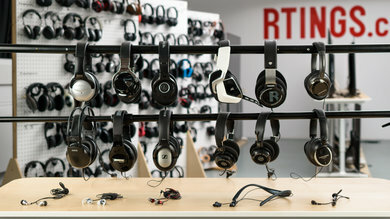 Their matte, rubberized finish and twist-to-lock ear hook design sets them apart from similar sports headphones. 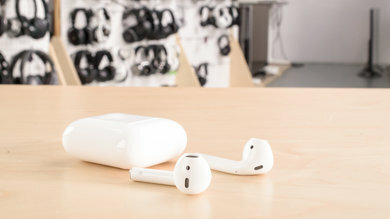 However, they have a unique touch-sensitive control scheme that can be a bit finicky compared to the physical controls of other truly wireless sports in-ears. 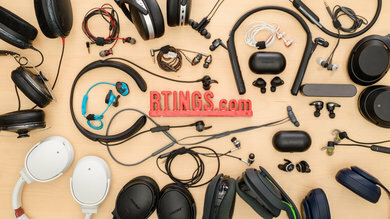 If you get easily frustrated by unwanted registered commands, take a look at our recommendations for the best headphones for running, the best wireless earbuds for running or our best truly wireless earbuds. The JBL Endurance Peak are decent for mixed usage thanks to their truly wireless, sporty design that works well for most use cases. 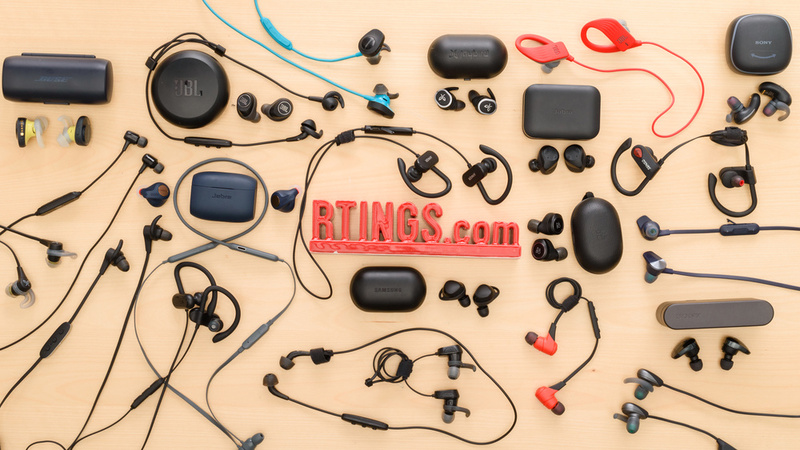 Even though they’re slightly larger than average earbuds, they’re compact enough to carry around on your person and come with a good charging hard case. 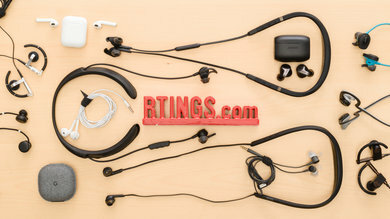 Although they’re not the most comfortable in-ears and don’t have a very easy-to-use control scheme, they're stable enough for most sports and isolate enough to be decent for commuting or office use. The Endurance Peak could be a decent choice for critical listening. 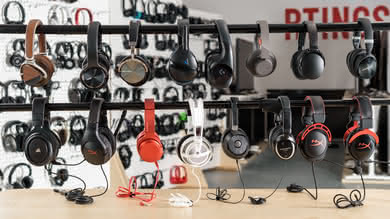 They have great audio reproduction and deliver a well-balanced, versatile sound that suits various genres of music, from hip-hop to classical. 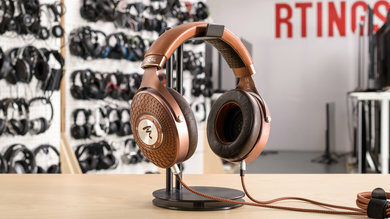 They’re not the most comfortable, though, and may get fatiguing after a bit, which isn’t great for longer listening sessions. 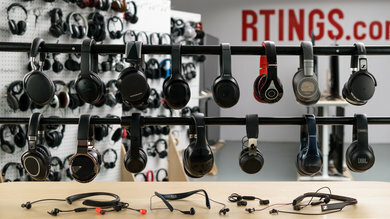 In addition, like most in-ears, they don’t have a speaker-like soundstage, so they won't be the ideal choice for more critical listeners. Above-average for commuting. 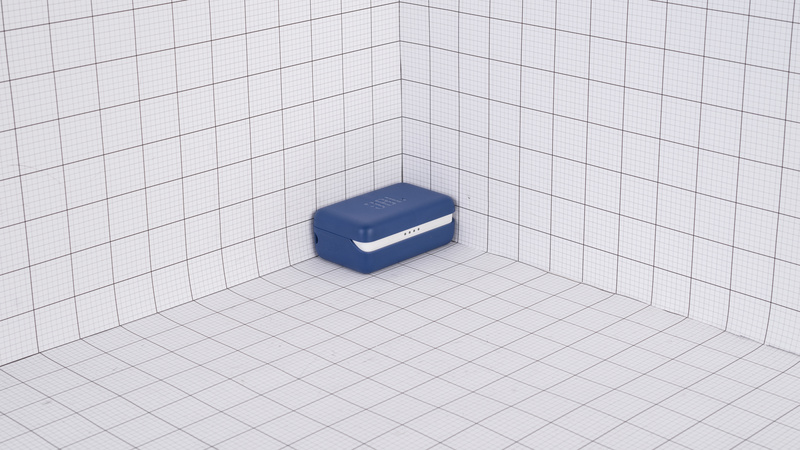 They're compact, easy to carry around, and isolate fairly well. 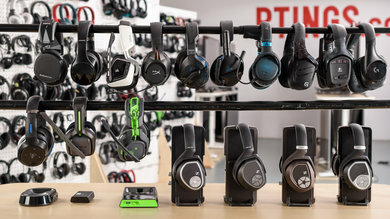 Though they don’t block noise as well as headphones with an ANC feature, they barely leak so you can play your music a little louder if you need to block even more noise. 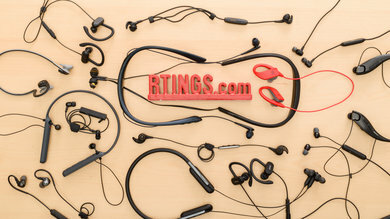 Unfortunately, they aren't the most comfortable truly wireless in-ears we've tested. 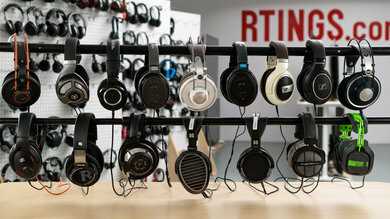 They also have a relatively short playtime, so they may not be ideal to wear for really long continuous listening sessions, like long car rides or international flights, but they should be fine for your everyday commute. Great for sports. 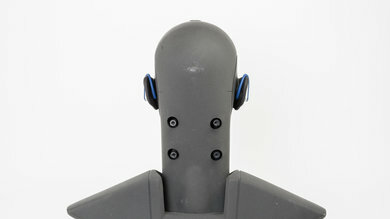 They have a very stable twist-to-lock ear-hook design that, once you get figured out, fits nice and secure. Though their battery life isn’t the best, you can still enjoy uninterrupted audio during your work out for up to 4 hours. If their battery is already drained, you could use the quick charge feature to get an additional hour of battery life while you’re stretching. Unfortunately, it may be difficult to navigate their delicate control scheme while exercising. Decent for office use. 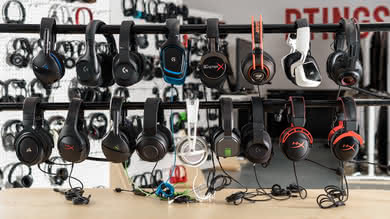 They block out office noises like workplace chatter and fan sounds quite well, and hardly leak any sound, so you won’t disturb your colleagues, even if you like to crank up the volume sometimes. 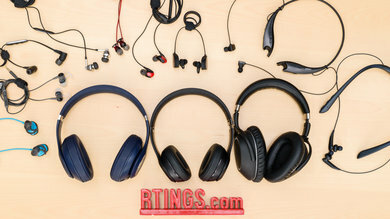 The JBL Endurance Peak may not be the most comfortable headphones to wear from 9 to 5, but you’ll need to take breaks to charge them anyways, so they’re still a decent choice. Inadequate for home theater use. 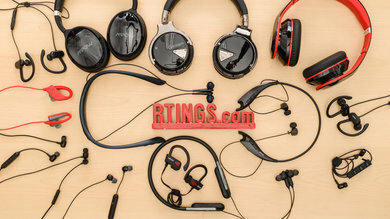 The Endurance Peak have far too much latency to enjoy video content wireless and they have no other connection option besides Bluetooth, which is usually not ideal for most home-theater setups. 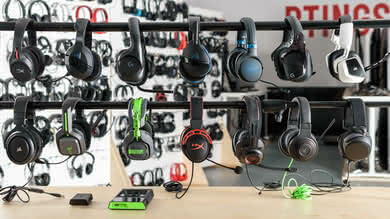 Bad for gaming. 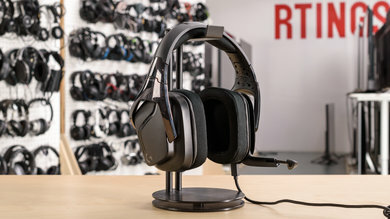 They have no other connection option than Bluetooth, and unfortunately, Bluetooth is not compatible with most consoles. 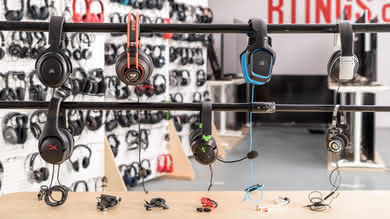 Though they may be used for PC or mobile gaming, they have a mediocre-at-best microphone and have too much latency to be suitable for wireless gaming.